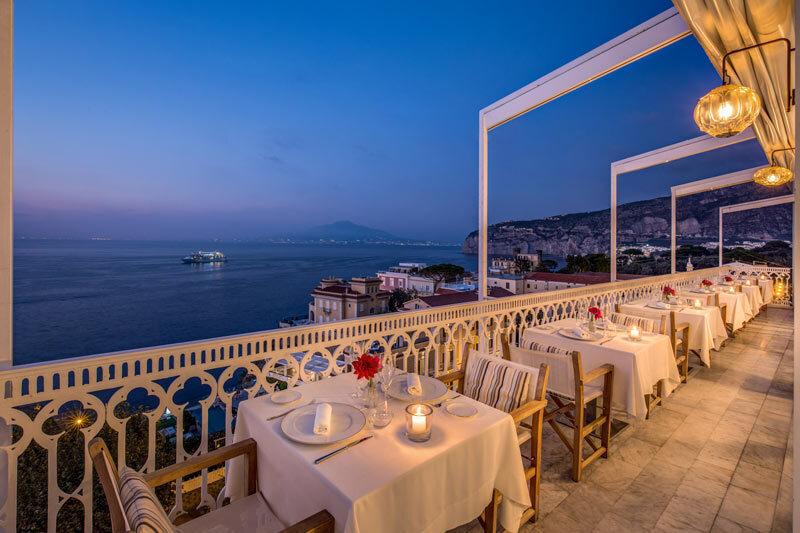 Wonderful views, refined cuisine, smiling service and beautiful ambience… this is Vesuvio Roof Restaurant. 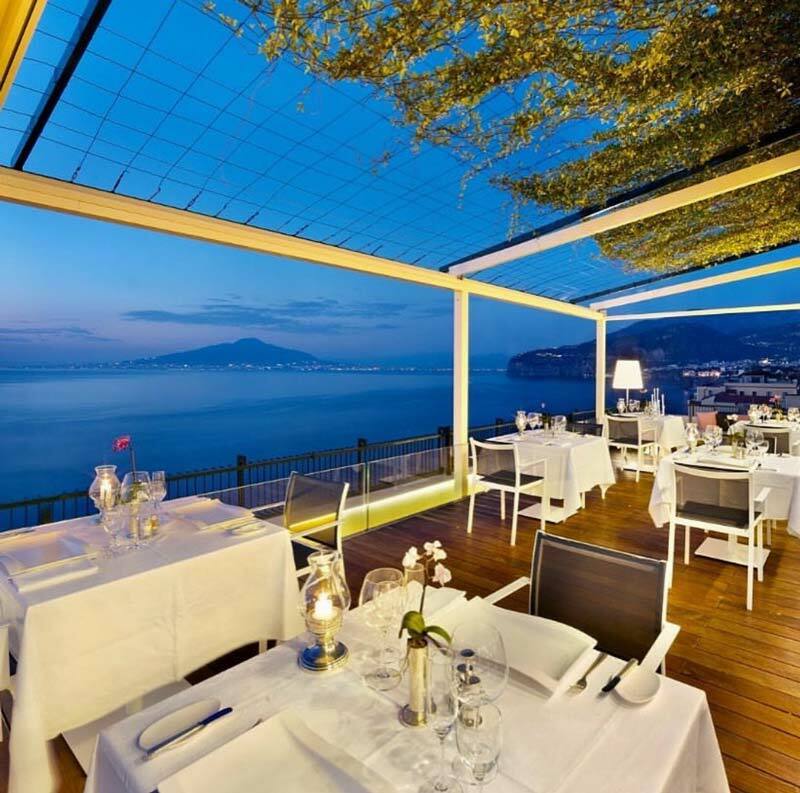 Our Chef Giuseppe Saccone proposes a seasonal menu based on the best ingredients from our beautiful Campania Region. 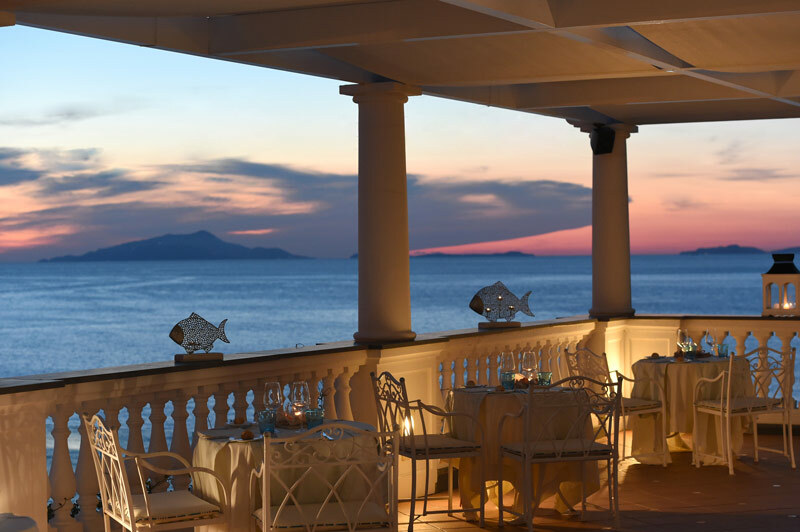 The Hotel Corallo Sorrento offers an exclusive restaurant overlooking the sea. 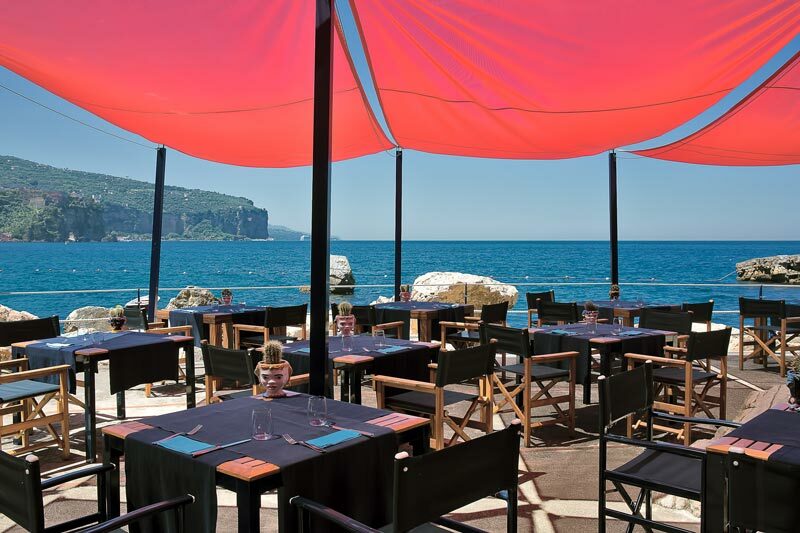 Is there anything better than enjoying a tasty dish of the Neapolitan and Sorrento tradition, prepared with the best row materials of our land and coming directly from Massa Lubrense, looking at such a beautiful view? 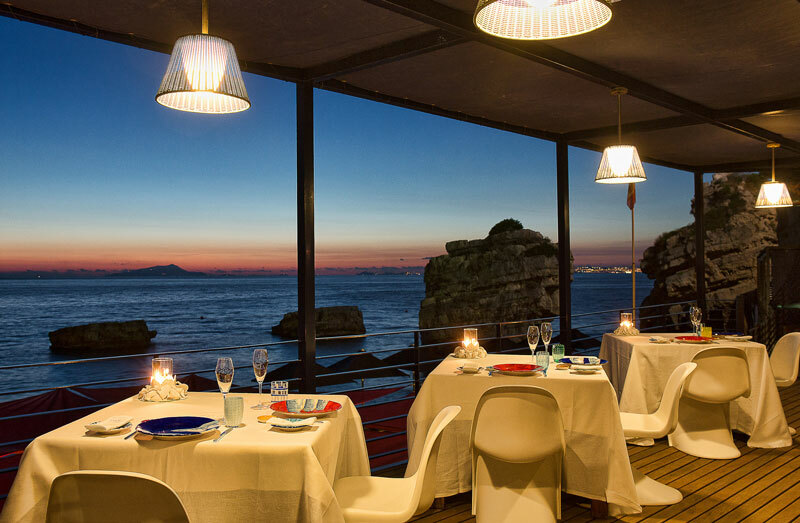 Alfonso Caputo’s heart beats strongly. 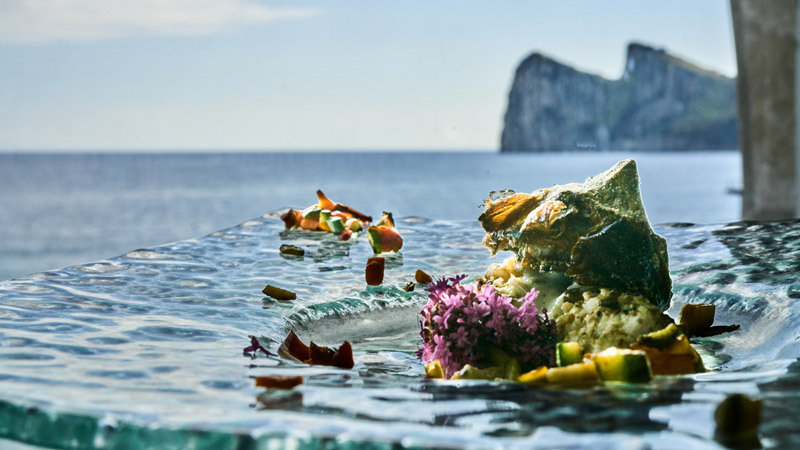 His cuisine, genuine yet at the same time refined, will lead you on a journey into the heart of taste, through space and time, and through the deep history of these places. 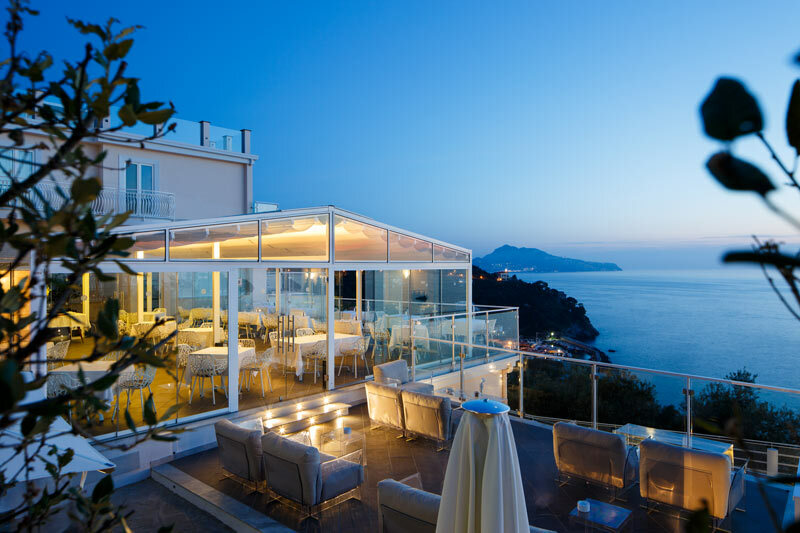 The heart of an idea beats strongly. 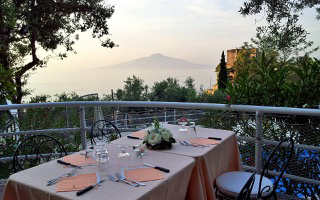 Restaurant Belvedere Sorrento is open from Monday to Sunday for lunch from 12.00 until 14.30, while for dinner it opens at 19.00 until 22.00. 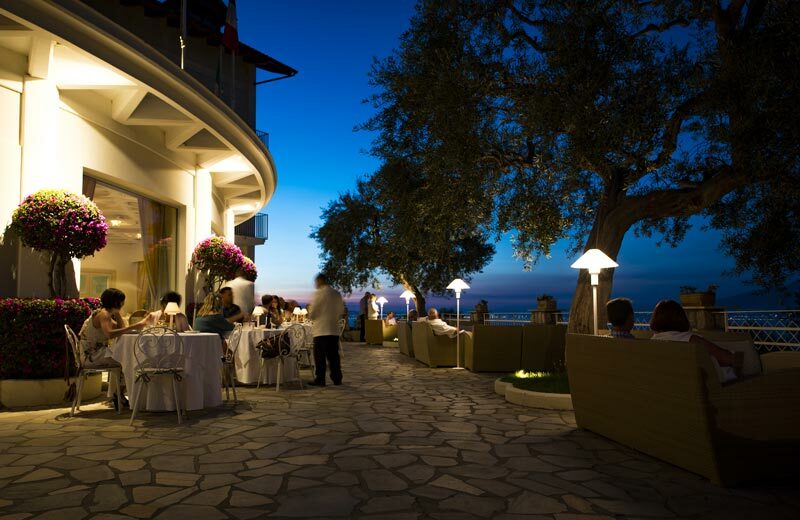 Start a tasty journey through tradition and innovation. 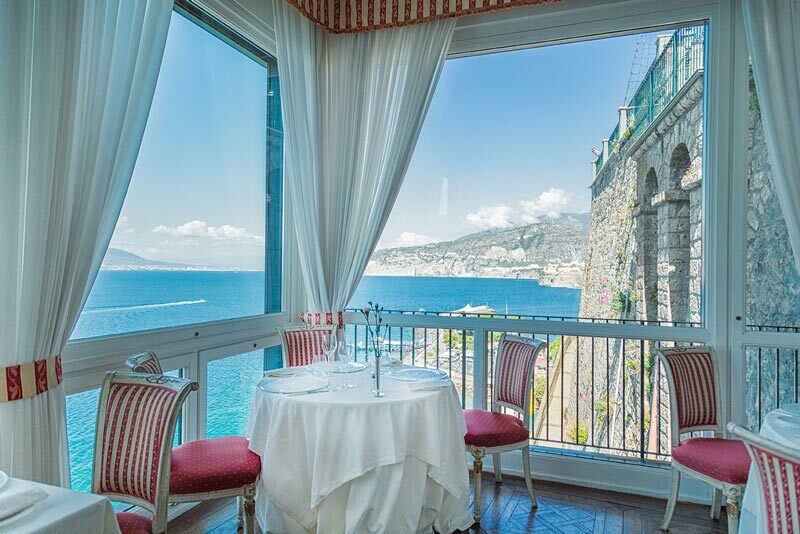 The “Terrazza Vittoria” , located on the 5th floor of the Hotel, offers a unique and unforgettable experience with its enchanting view of the Gulf of Naples. 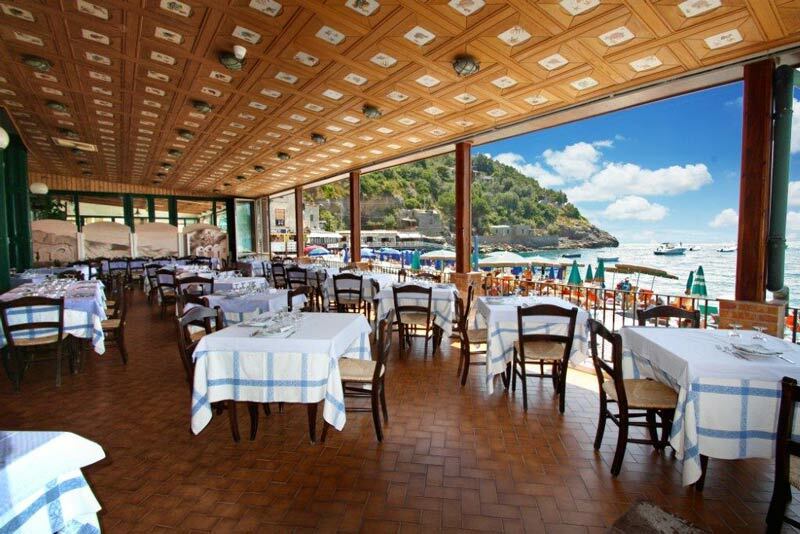 The Restaurant Pizzeria Di Sole…Di Luna situated on a splendidterrace with breathtakingsea views is open every day. 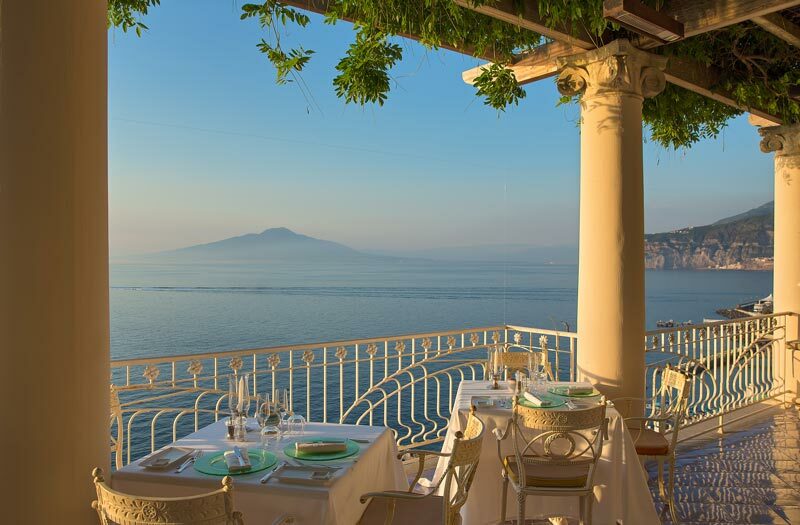 Perfect place to dine and wine with majestic scenery. 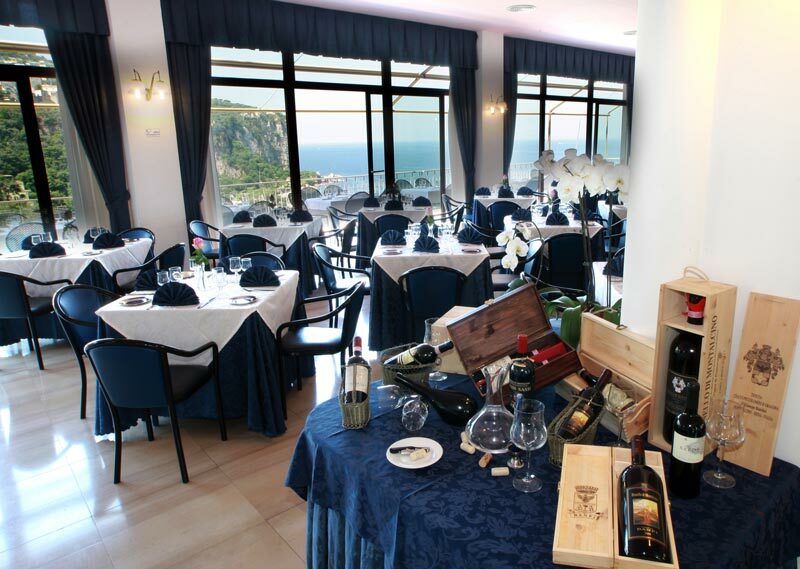 Menù à la carte with a wide range of wines available. 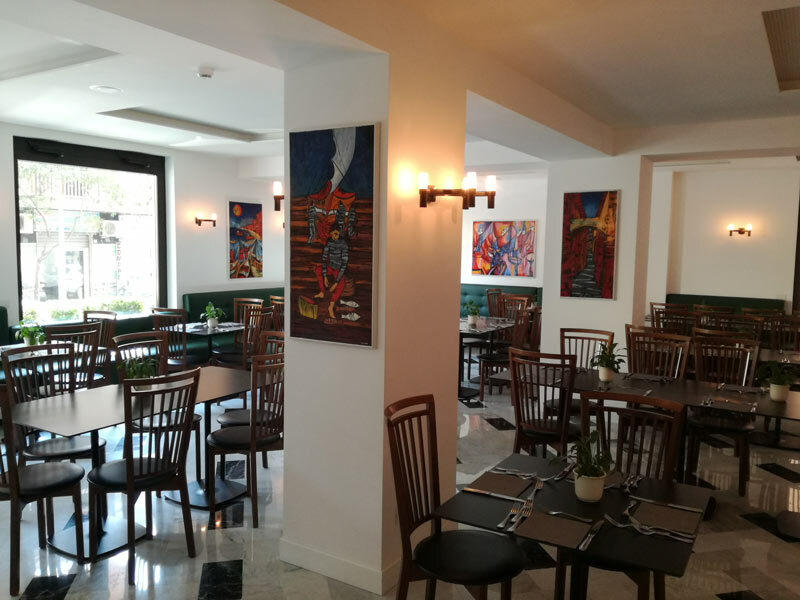 The restaurant Francischiello welcomes guests in a family atmosphere, that smells of home, tradition, old kitchen, rich and generous dishes, warm and crisp bread. 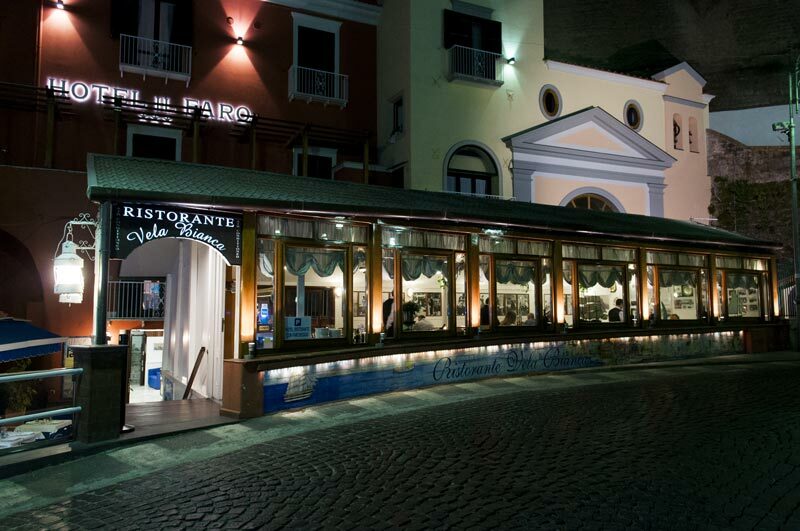 The Restaurant Vela Bianca is developed on three levels. 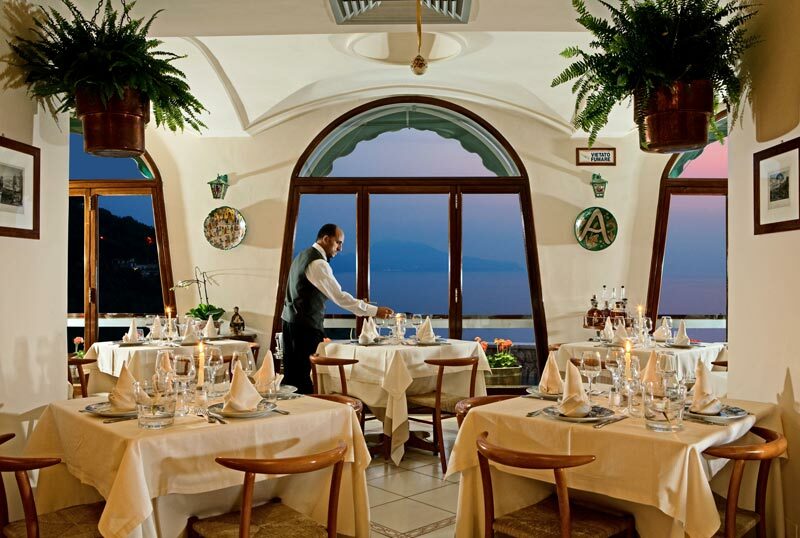 Our dining service is inspired by excellent standards and has been recognized by many formal and informal rewards. 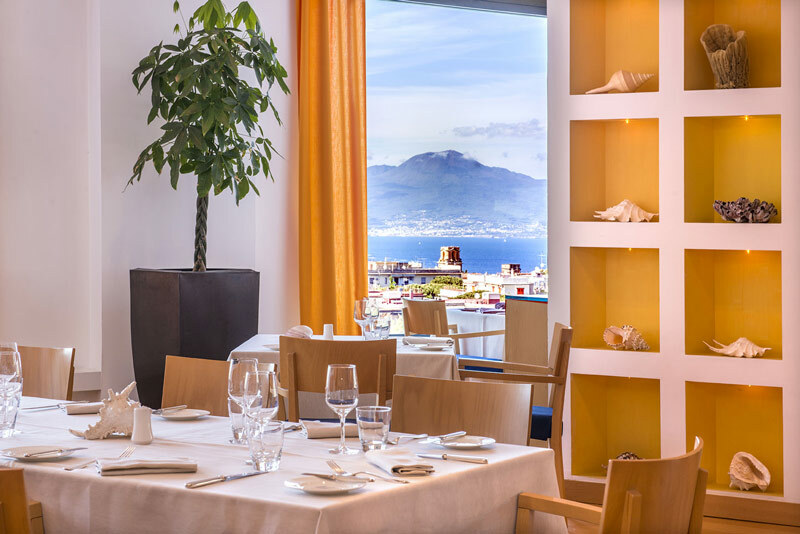 Those wishing to dine in the restaurant at the Hotel Aminta, may choose from many specialities offered on the rich and well supervised a la carte menu. 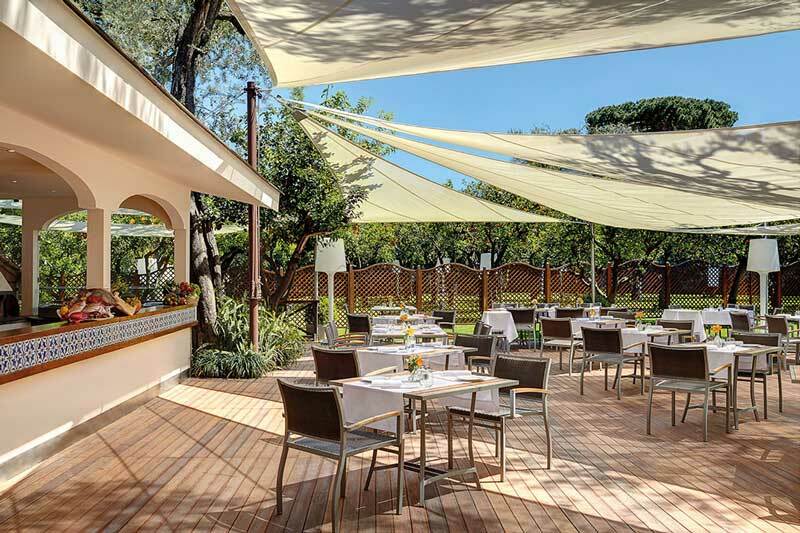 Our Michelin starred gourmet restaurant Terrazza Bosquet offers an elegant combination of regional and Mediterranean cuisine, using fresh, local produce including a variety of citrus fruits from the hotel's own orange grove. 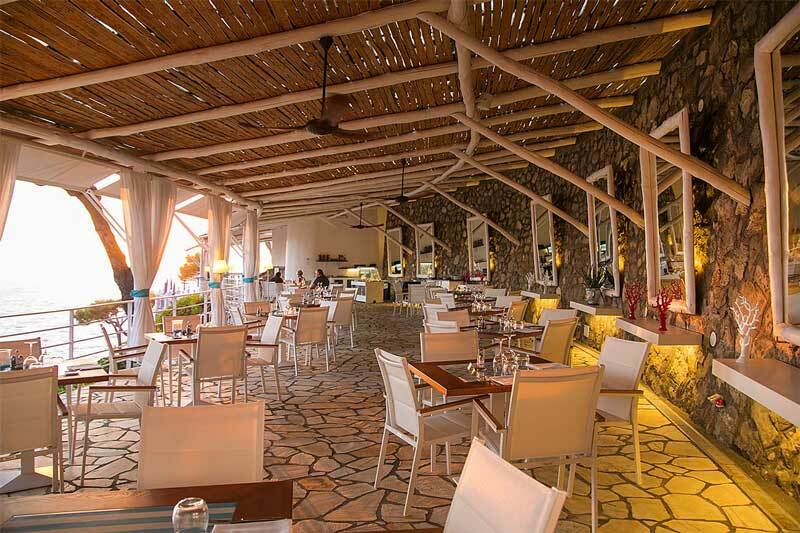 Additional property amenities include a restaurant serving typical local dishes, a pizzeria with a wood-burning oven and two bars. 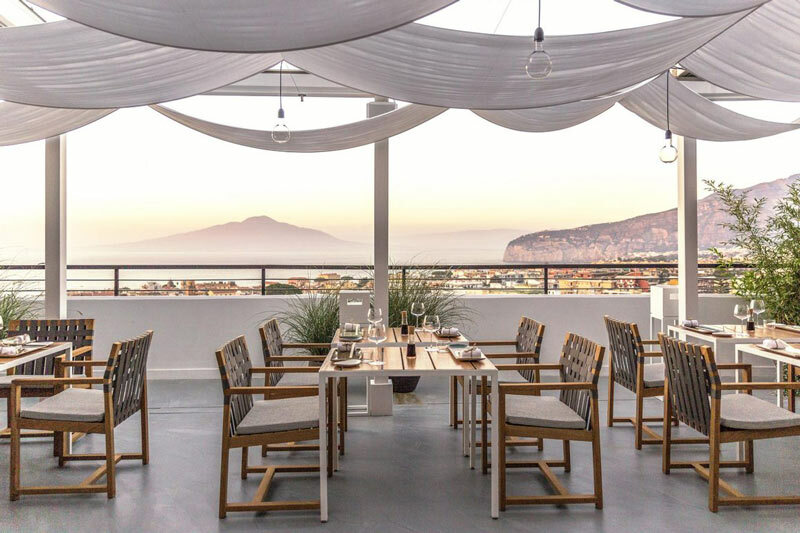 From the panoramic terrace of our restaurant,you can enjoy the breathless view on the sea of ​​the Sorrento Coast, the the Gulf of Naples and the Isle of Capri. 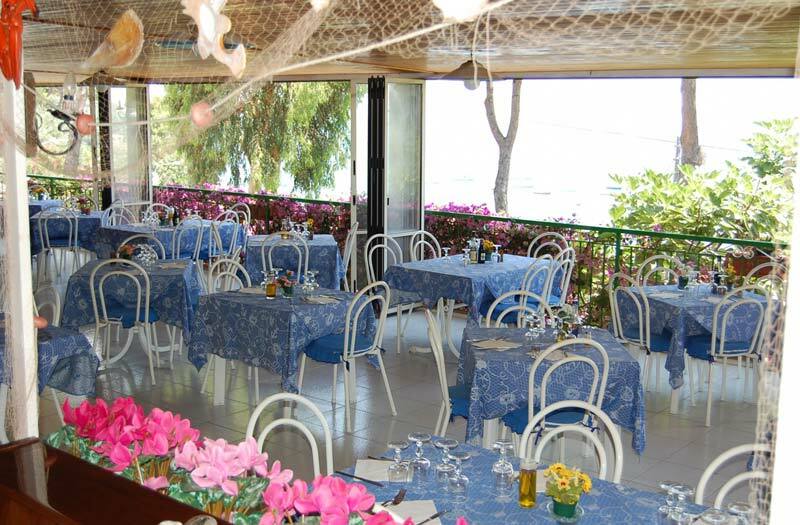 The marine-style motifs, in the colors of white and blue, weave elegant textures on tables and chairs. 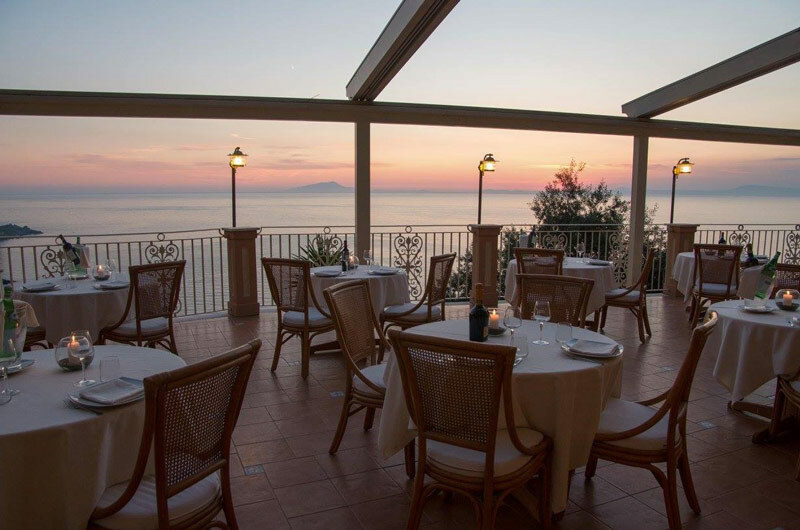 The cozy and panoramic restaurant offers its guests the chance to taste typical Neapolitan cooking, preserving the unique culture and culinary tradition of our country thanks to the passion of our chef.